FB could look a lot more like TV soon. While Vine and Instagram Video are booming, you don’t see many people natively uploading videos to Facebook. But now Facebook is bringing auto-play for native videos to all users after testing the feature in September. And it’s just the beginning of a huge push to put Facebook in motion. Previously, any video uploaded to Facebook directly or shared to the News Feed from Instagram would appear the same as YouTube videos — locked behind a play button. While the conscious decision to stop scrolling for, open the video player, wait for it to load, and watch might not seem like a big deal, it may have been too much of a time and effort investment for some. If people don’t watch videos, they don’t get likes and comments that encourage friends to upload more, and they might skip uploading them themselves. But after spotting an auto-play video in my feed yesterday and asking Facebook, the company confirms the new format is now internationally rolled out to most iOS and Android users and will reach all of them soon. Facebook tells me it’s still testing this feature on desktop and doesn’t have schedule for when it will roll out there. On mobile, auto-play gives natively uploaded Facebook videos and ones shared from Instagram an advantage: you don’t have to think about playing them, they play themselves. At first they’ll play in-line even as you scroll, but with no sound. If you tap them, they expand full-screen and the audio kicks in. Videos uploaded to third-party sites retain the old click-to-play-format. I’ve found the new design to be quite pleasing. As I wrote when Facebook’s auto-play style was first unveiled, it feels a bit like the moving photos in the Harry Potter newspapers. If you d on’t want to watch, you can scroll by with little disruption. This isn’t Myspace, Vine, or Instagram where auto-play sound is suddenly going to bombard everyone around you. If you’re not sure if you want to watch, you get a little preview. Maybe the thumbnail was dull but motion shows the video is actually exciting. A little animated audio levels icon clues you in to there being sound to be heard, though. You can watch silently if you don’t have headphones or privacy, but if you want the full experience, you can tap and the video plays instantly without a loading delay. To respect users who don’t want to burn data, Facebook has added a setting that lets you only auto-play videos if you’re on WiFi and not on cellular data. It’s found in your phone’s Facebook settings on iOS and the Facebook app’s settings on Android. When Facebook started testing auto-play, it was upfront about looking for ways to give the feature to marketers as well as users. It wrote “At first, this feature will be limited to videos posted by individuals, musicians, and bands. We’re doing this to make sure we create the best possible experience. Over time, we’ll continue to explore how to bring this to marketers in the future.” I would bet we’re going to hear some news about this soon, either just before or after the New Year. Facebook recently starting letting developers put videos in their app install ads, but those don’t auto-play. Maybe they will eventually, though. For advertisers, auto-play videos could make their ads a lot more noticeable. Most people wouldn’t volunteer to watch a video ad (cool movie trailers aside), but if it’s already playing and looks compelling, they might watch or even expand it to include sound too. Facebook is a fan of consistency, so video ads might have a very similar user experience to organic videos. 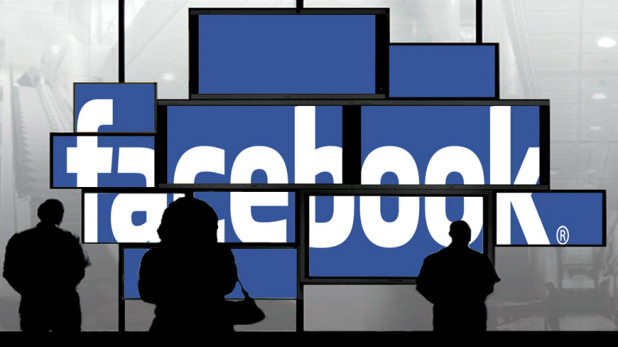 Because they’re more captivating, Facebook could potentially charge a lot to show video ads. Back in September, AdAge reported Facebook could charge between $1 million and $2.4 million to distribute a 15-second video ad for a day. Facebook raked in $2.02 billion in Q3 2013, and video ads could give that number a significant bump in Q1 and Q2 2014. Finally, we might start to see a landslide of ad spend previously devoted to television coming online, as the Facebook format would be relatively familiar (though possibly with no sound unless clicked). The question remains whether users will freak out about video ads. Comments on my last piece about them and general sentiment has been quite wary of what video ads will do to the Facebook experience. If they’re the most eye-catching things on the social network, they could seem quite annoying. AdAge says Facebook might cap video ads so users don’t see more than three a day. Striking the right balance will be critical, though surprisingly, Facebook found that showing static photo ads in the News Feed hasn’t had a significant negative impact on engagement. And if you’re thinking to yourself, “AdBlock Plus, bro”, that’s up to you. Personally, I think ads are the lifeblood of innovation, funding free products we rely on. But they’re a nuisance unless well-targeted, so hopefully Facebook can keep video ads relevant to the viewer. Otherwise I’d expect a lot of people to look for ways to banish them from their feed. The secret to making people swallow video ads might be getting them to shoot mini-movies themselves. If there were more user generated videos on the site, the ads would blend in. It’s time for Facebook to modernize its video creation tool. It could easily port in the Instagram Video features, maybe with a better tagging interface since Facebook is more about friends. It also has patents on some pretty futuristic video technologies like recording video as soon as your camera is open, recognizing and tagging faces or locations, and detecting audio and visual cues like saying “that’s beautiful” to select a cover image thumbnail or create anchors for navigating around within a video while watching. These features could make it much more fun to shoot and view Facebook videos, which could fill the feed with them and camouflage the video ads. And even if the native creation tools stay the same, a better watching interface could make a big difference. Right now there’s no real way to discover and watch Facebook videos in bulk. A Facebook “channel” that showed your friends’ videos back-to-back (perhaps with clips from Pages and advertisers mixed in) could be an addictive lean-back experience. Better video viewing could pit Facebook in more direct competition with YouTube. So basically, Facebook has a huge opportunity to step up its video…game, and auto-play on mobile is just the first step. Photos fueled Facebook’s popularity back in its early days. As it turns 10 years old in 2014, we’ll see if video can give it a second wind.